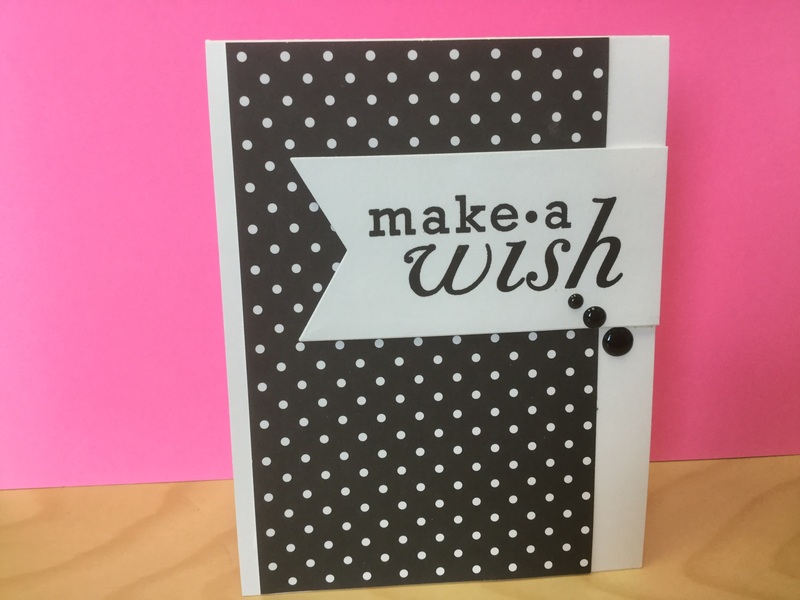 The idea behind this challenge is to take 10 minutes to design, 10 minutes to get your supplies and then 10 minutes to make your card. We had different themes to use, I choose the black and white since our theme (my sister put together goodies for our weekend crafting that was black and white). Hope you love my card! This entry was posted in Papercrafts. Bookmark the permalink.